Hon. 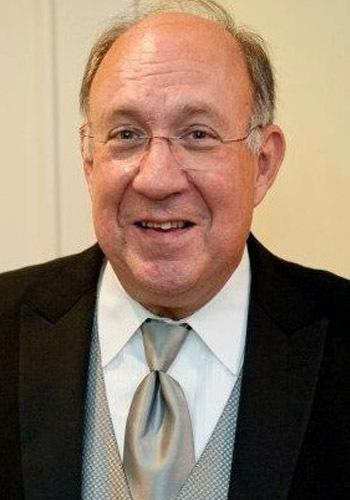 Steven I. Platt (Ret.) - Mediator & Arbitrator based in Annapolis, Maryland. Please click your preferred available date to submit a request. Your Appointment Form will be sent to Steven 's assistant, Penny Simpson. Judge Steven I. Platt (Ret.) retired as a full-time Circuit Court Judge on January 15, 2007. He has since been approved by the Court of Appeals to be recalled in all eight Circuits and the Court of Special Appeals to try cases and conduct Settlement Conferences as a Recalled Judge. He is also engaged in Private Mediation, Arbitration and Neutral Case Evaluation of Complex Civil Litigation including Medical Malpractice cases, Legal Malpractice cases, Product Liability cases, Construction Litigation and Business Disputes as well as other civil cases, including multiple party Contract and Tort cases. Judge Platt has been a member of the Bar for over 30 years. He was in private practice for 10 ½ years from 1976 to 1986 during which time he also served as a Judge of the Orphans Court. He was appointed to the District Court for Prince Georges County in 1986 where he was designated Administrative Judge in 1988 and to the Circuit Court (7th Circuit) in 1990. While a Circuit Court Judge, he had management responsibility for all "Complex Civil Non-Family Cases" in the Court, which included the supervision of all settlement conferencing, mediating and scheduling of these medical malpractice, legal malpractice, business litigation, and products liability cases. He also presided over many of these cases. He is the acknowledged architect of the Maryland Businesses Technology Case Management Program. That Case Management Program has been cited as a model for the Nation in articles appearing in The Business Lawyer, a publication of the Section of Business Law of the American Bar Association, in Case In Point, the periodical of the National Judicial College, and in The Maryland Bar Journal. Judge Platt is a trained Mediator having completed the basic 40 hour course, as well as advanced courses. He serves as a Panel Arbitrator and Mediator for the American Arbitration Association (AAA), International Institute for Conflict Prevention and Resolution (CPR), Resolute Systems (RS) and Financial Industry Regulatory Authority (FINRA) as well as his own company, The Platt Group, Inc. In addition, he has taught the use of mediation and arbitration in resolving Business Disputes to Judges and Lawyers both in Maryland and Nationally through both The Judicial Education Program of The American Enterprise Institute (AEI)/ Brookings Joint Center for Regulatory Studies, on whose Judicial Advisory Board he has served, and through The American College of Business Court Judges of which he is a past President.